I am woefully unprepared to create any sort of virtual Agincourt, much as I might want there to be one. An opportunity opened last Monday afternoon that generous than I can imagine — and I can imagine a lot! 1900-1904 — From about age twelve, Anson spends summers at the farm near Mason City of his maternal grandfather Corwin Curtiss, where he learns the rudiments of carpentry. 1905 — Sixteen-year-old Anson builds a dollhouse for his little sister Claire, ill with diphtheria and not expected to survive. His inspiration comes from a house seen in the pages of a magazine, one of many stacked in the attic of the Tennant family home on NE Second Street. 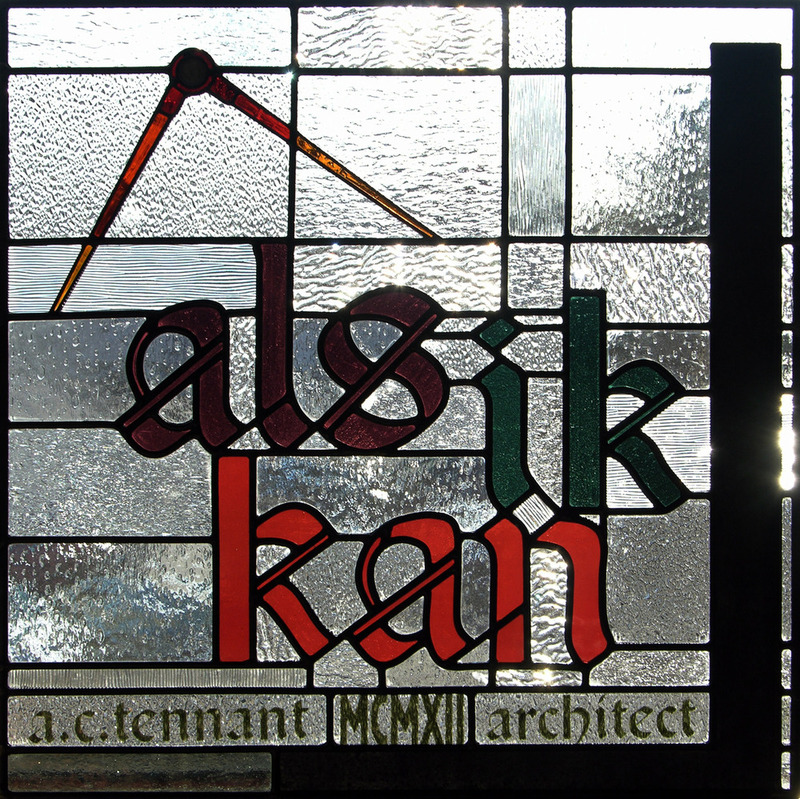 1908-1909 — Long recognized by his dad to have some inclination toward building construction, Jim Tennant challenges Anson, recently graduated from high school, to design an addition to the family home. Anson has already moved into the carriage house loft as his “bachelor quarters” and studio. 1910-1912 — On the advice of family friend Joseph Lyman Silsbee (architect of the Tennant homestead), Anson goes to Chicago to study architecture at the Art Institute and hopefully gain some office experience. In 1912 he works for a few weeks without salary in the office of Louis Sullivan. 1912 January — The family make a vacation trip to New Mexico and Arizona in the late Winter to celebrate statehood (in January and February that year). While in Albuquerque, Anson meets woodworker Manny Galvez (Manuel Luis Jesus Galvez y Paz) and stays an extra two weeks to gain some skill in furniture making. 1912 March — Returning to Agincourt, intent on establishing an architectural practice there, Anson barters his services remodeling the second floor of Wasserman’s Hardware. His payment is a three-year lease on one of the office suites, adapted as his studio-apartment, #204-206 (though sometimes identified as #205-207). It is this office, decorated in the Arts & Crafts style with simple furnishings, baskets and rugs from the New Mexico adventure, that presents the dutch door with its stained glass “Als Ik Kan” window as his public persona. The next logical development it seems to me (and has for several years) is to imagine what you would see walking through that door. And the creation of that virtual reality is what has been offered. By agincourtiowa in Uncategorized on Thursday/29/November/2018 .